These .22 caliber Monster Exact pellets weigh in at 25.39 grains providing more than enough power for decisive takedowns in small game yet accurate enough for superior target shooting. Things I liked: Very heavy pellets. 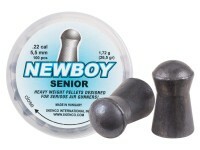 I'm shooting these in my Nova .22cal. 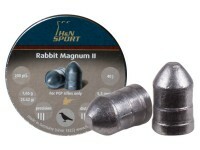 What others should know: If you're going to shoot these pellets you need an airgun that can push them. Retuned my Nova to 850fps. They hit very hard. If pesting make sure of your backstop. They will go through. So be safe and have fun. They seem to be very accurate at 850fps. Yes they do work fine in magazines for the Nova. 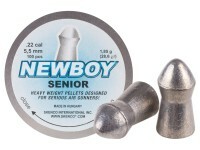 Things I liked: These pellets came well packaged. clean and consistent weight. I shoot them from my 22 cal. Brocock Bantam at 150 BAR. they Shoot one hole groups at 35 yds. 43 ft.lb. of energy and they do hit hard. 880 FPS. 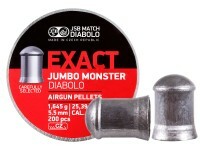 This is a great hunting pellet. Things I liked: At 25 yards this pellet is slightly more accurate then the JSB 18.13 Heavy's I normally shoot out of my FX 400 Royal. 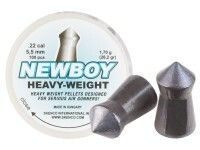 (1/4 inch groups all day with the edge to the 25.39 Redesigned). Shirts are a little on the thin side so be careful handling them. 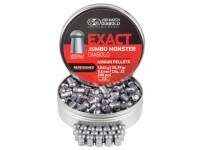 I would not put them in a 500 count tin due to the weight of the top pellets on the bottom ones for this reason. 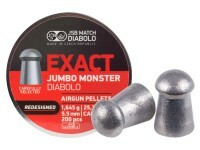 Shooting them at apx 875/900 FPS. Devastating on rats. Will these fit my Diana Stormrider magazine? 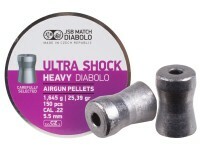 Will these work in my AA410 Mags? Will these fit a marauder magazine?